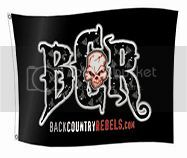 BCR's Best Polaris tech threads! Here's a good place to start if you're looking for help on a particular topic. RMKlumsy's "2-wheel kit DIY with Pics"
Looking for a parts fiche? Browse the Polaris/Victory Online Parts Catalog. Polaris has a page to Download Owners Manuals. Discussion for the content of this post is here. Last edited by Mule; 04-15-2014 at 12:34 PM.